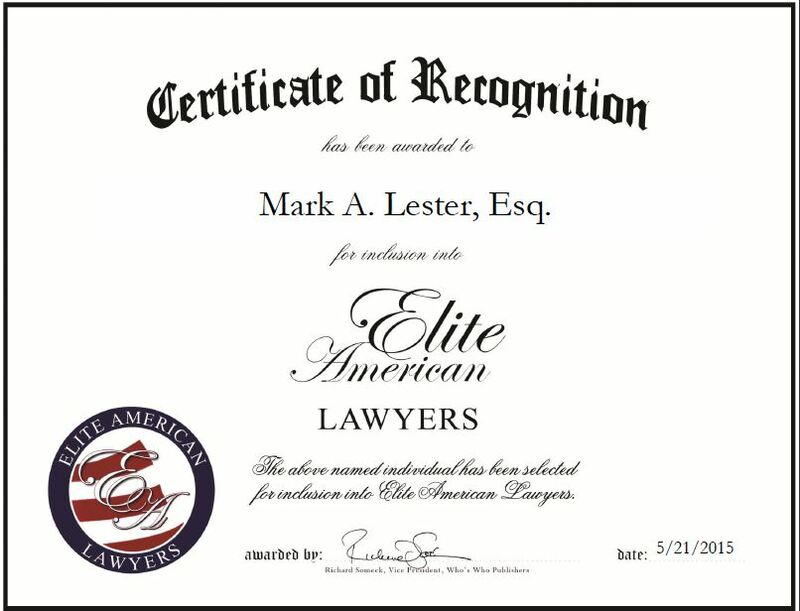 Oxnard, CA, May 21, 2015, Mark A. Lester, Esq, Attorney at Jones & Lester, LLP, has been recognized by Elite American Lawyers for dedication, achievement and leadership in trust and probate law. Named one of the Ten Most Dependable Lawyers of California by Goldline Research, Mr. Lester has been a practicing attorney for more than 30 years. He has garnered extensive experience in estate planning and trust and probate law, and takes great pride in providing clients with the highest quality legal services. His law firm offers clients services in the areas of corporate and business law, business litigation, trust and estate litigation, succession and estate planning, trust administration and probate, real estate, public agency law, taxation and computer law. Mr. Lester spends his days practicing in the transaction and litigation side of the practice. He also drafts estate plans, provides estate planning services for all types of families and individuals, and litigates trust and estate disputes. Mr. Lester loves being in the courtroom, as well as getting his clients’ their desired results. He earned a JD at Seattle University School of Law and a Bachelor of Arts at Stanford University. Mr. Lester is certified specialist in estate planning, trust and probate law by the California Board of Legal Specialization. Looking toward the future, Mr. Lester intends to continue developing the estate litigation section of the practice. Contact Mark A. Lester, Esq. This entry was posted in Estate Law and tagged estate planning, litigation, probate law, transactions, trusts. Bookmark the permalink.